Arkansas ranks among the worst in the nation for food insecurity. A group hoping to address the food insecurity, which affects nearly 1 in 5 Arkansans, is scheduled to stop in Little Rock this weekend. The “This Is Hunger” exhibit, most recently in Fayetteville, began its nationwide tour in California in late 2016. Little Rock will be the 47th stop in the 35th city in the 25th state of the tour. The traveling exhibit, housed in a 53-foot expandable semi-trailer, was designed by the organization MAZON: a Jewish response to hunger. National organizer Samuel Chu, a former Methodist minister, says MAZON strives to be non-partisan in its approach to education and advocacy. “Ultimately what we want to do is for the truck to leave town having left behind a starting point for people to collectively look at hunger in a different way and to look at the solution and response to hunger in a bigger way,” said Chu. 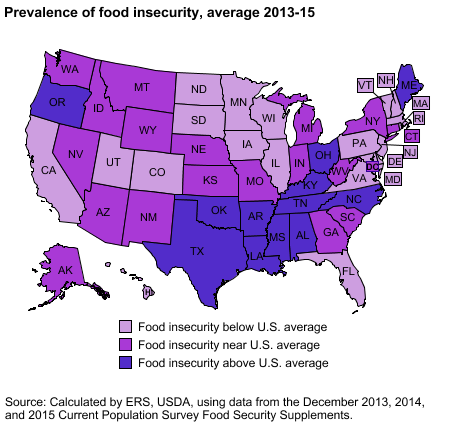 According to the U.S. Department of Agriculture, Arkansas ranks 49th in the nation with over 19% of its residents experiencing food insecurity. The event is free, but reservations for the 45-minute tour are recommended. Details for visiting Saturday, Sunday, or Monday can be found here.